This is Senri Kawaguchi. 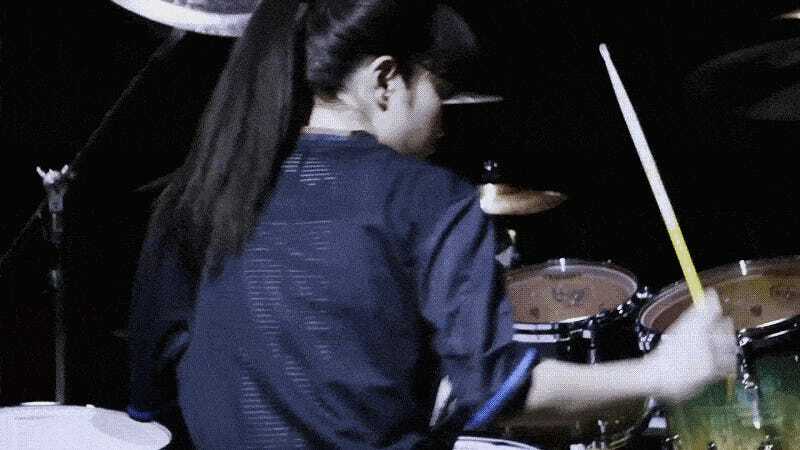 She’s 18 and has been called one of the best drummers in Japan, if not the world. Here, she’s showing her support for Japan’s national team by drumming in the new Samurai Blue uniform. If you’re not familiar with Kawaguchi’s drumming (you should be! ), check out the clips below—some of which are from when she was only in junior high school. Here, she is drumming with goofy glasses.